In a two-part series of exchanges, Clif Swiggett (CS) and Greg Rock (GR) discuss the pros and cons of low carbon fuel standards (LCFS). Rock, the board policy chair at Carbon Washington, serves as a lobbyist for carbon policies in Olympia. Swiggett has served as CTO and CEO at several Seattle technology companies and believes climate change is the defining challenge of this generation. Part 1 of their discussion looks at (1) the ability of LCFS to lower transportation emissions and (2) the effectiveness of biofuels. 1. Will LCFS delay the transition to zero-emissions transportation and prolong our dependency on carbon-emitting liquid fuels? CS: When consumers and businesses purchase new internal combustion engine (ICE) cars, SUVs, pickup trucks, large delivery vehicles, long-haul trucks, and aircraft, it creates a new generation of CO2-polluting vehicles that will be on the road (or in the air) for decades. GR: Yes, 15 years, last I checked, was the average life of a passenger vehicle or truck. So even if we banned all ICE sales tomorrow, for 15 more years, we need liquid fuels servicing the passenger vehicle fleet. CS: Sure, but when the biofuels industry invests in feedstock supply, transportation, refining, and distribution, they will be highly incentivized to maintain and grow their business. It will be in their interest to increase demand for their products or, in other words, maintain a large fleet of ICE vehicles burning their fuel. Further investment in ICE vehicles and biofuels infrastructure will slow the transition to zero-emissions transportation. GR: If we just look at zero tailpipe emissions transportation, I would tend to agree Clif, but that could come at the cost of slowing the rate of decarbonization more broadly by foregoing opportunities where cleaner transportation fuel options exist. Keep in mind, while 100 percent clean electricity can happen reasonably soon, 100 percent clean transportation is a ways off still and a lot of progress towards lower carbon-intensive transportation can be made before either of those goals are achieved. Biofuels can play an important role in that transition. Traditional agricultural crop biofuels will never be 100 percent carbon neutral, which is true, but neither are electric vehicles running on solar panels. There are biofuel pathways, mainly forms of gasification to gaseous or liquid fuels like DME, that can create biochar and, better than carbon neutrality, actual carbon-negative biofuel production. At the end of the day, we don’t have a clean-electricity problem, especially with current price trends in solar; in my mind, we have a clean-transportation problem. CS: To see this dynamic playing out, look at the billions of dollars in subsidies given to US farmers to produce corn for ethanol. The ethanol industry is here to stay, despite serious questions about whether ethanol provides any net positive for climate or the environment. GR: But the interesting note is that the California credits under a LCFS are now causing corn farmers and ethanol producers to change their input energy from dirty forms of fuels and electricity to cleaner options so they score higher under the LCA analysis and earn more credits. Anecdotal stories show those energy practices developed for ethanol producers translating to practice adoption by other corn farmers and other crops, including food crops. No biofuel is the same; corn based ethanol is likely one of the worst from an energy-balance perspective, but if your goal is transportation energy with reduced carbon intensity, my master’s thesis on Energymetrics, which uses the Greenhouse gas Regulated Emissions and Energy Use in Transportation (GREET) model data, makes the argument that even corn-based ethanol is a winner, and a bigger winner than traditional enthalpy-based energy balances that don’t take the quality difference of different forms of energy into account. 2. The original theory behind biofuels was that algae would yield tens of thousands of gallons per acre (otherwise, there isn’t enough cropland to make it work). Is this expectation being realized? GR: We are still early on this clean-tech play, and I wouldn’t count out algae, cellulosic ethanol, or aquaculture as major pieces in the climate-solutions puzzle. CS: Back in 2005, I met with the CEO of Imperium Renewables (Martin Tobias) and visited their refinery just off the Duwamish. At that time, Imperium was an early-stage, mission-driven startup intent on addressing climate change by producing liquid fuels that, over their full lifecycle, emitted little or no CO2 into the atmosphere. The basic idea is the plants grown to create the vegetable oil would absorb the same amount of CO2 emitted when the fuel is burned. So, in theory, these fuels would be carbon neutral. Today, we call this “lifecycle carbon intensity” (CI) where the lower the CI, the better. A CI of zero means no net CO2 is emitted over the lifecycle of the fuel. The big problem that Martin readily acknowledged was that using the traditional crops grown in Washington state (like corn, soybeans, or canola/rapeseed) as the feedstock didn’t make sense. These crops require cropland to produce the vegetable oil that is then refined to make biodiesel. If you do the math, the amount of cropland required is staggering and completely impractical. In 2017, we consumed about 240 billion gallons of liquid fossil fuels in the US (source EIA). There are about 339 million acres of cropland in the US (source USDA). Canola (aka rapeseed) produces about 127 gallons of vegetable oil per acre each year (source). So a quick calculation reveals that if we used canola to produce the 240 billion gallons of fuels we burn every year, it would require about 1,884 million acres of land. This is more than five times the available cropland! And it assumes we don’t grow any other crops. So, we’re not even in the ballpark here. Clearly, canola wasn’t going to be a practical solution. GR: I would avoid thinking we need to get all the way to the end goal with any single solution. There is only silver buckshot, no silver bullets to this problem. Biofuels are already contributing to the solution, and they could be greatly expanded using food-based crops if we reduced food waste and changed dietary practices. CS: What Martin and many others were betting on at the time was that the ultimate feedstock for biofuels would be algae that was genetically modified and capable of producing 5K, 10K, … maybe even 30K or more gallons per acre. And this algae could be grown on unused land rich in sunlight so it wouldn’t require converting cropland. But in the intervening 12 years and despite hundreds of millions of dollars of investment, this hasn’t come to pass. Attempts to get these yields have failed, and the outlook isn’t hopeful. Fifteen years after Imperium (now a part of the Renewable Energy Group) was founded, we are still hoping that we will see breakthroughs in algal biofuels. But investors are fleeing risk, investment $ are drying up, our current biofuel feedstocks cannot scale to a level that reduces GHG emissions significantly, and land use impacts of some feedstocks have had catastrophic and unintended consequences (which I touch on later). GR: I would disagree. I think the prospects of biofuels from algae look promising though it isn’t there yet. Combination plants with waste water treatment creating biomethane, algae, and clean water from waste streams I think have the most economic promise. With any technology, it takes time for the price curve to start moving but when it really goes from breakthrough or economies of scale, learning curves can really move price points rapidly (case and point 1: solar, point 2: batteries). Unfortunately, biofuels from algae are likely case 50 or 60 in the huge array of clean tech that we need to rapidly expand production in order to drive down costs. That’s difficult when they can’t compete against subsidized fossil fuels. CS: But, in the intervening years, other problems have emerged. In most gasoline-powered cars, no more than 10-15 percent of the fuel can be ethanol or the engine will be damaged (known as the blend wall). For diesel cars, B20 (80 percent petroleum diesel and 20 percent biodiesel) has become the most common biodiesel blend because higher levels of biodiesel turn to sludge at cold temperatures. So today, the vast majority of “biofuels” you see at gas stations are actually fossil fuels with a small percentage of plant-based fuel added. GR: Flex-fuel vehicles (FFV) are those manufactured to be capable of running 100 percent ethanol with no engine damage (changes the metal on a few components). The cost, if I remember right, at point of manufacture is less than $150 (back in 2007 when car companies were producing FFV to comply with some California laws). B20 is probably the optimal blend for biodiesel because it maximizes the lubricity benefits of biodiesel. At higher concentrations, fuel economy goes down slightly even though the engine runs more efficiently because there is less energy per gallon of biodiesel. I run 50/50 blend of biodiesel in my Golf in the winter here no problem, and if you use seasonal blends (waste turkey fat biodiesel in the winter), you can use much higher blends due to the lower gel point. Part 2: Are Biofuels Effective? Are the unanticipated effects of land use conversion being addressed? CS: Perhaps the biggest unanticipated problem with biofuels is what is innocuously called “indirect land use conversion.” It sounds technical, but you can get a clear and visceral understanding of it from reading this article published in the November 20, 2018, New York Times “Palm Oil Was Supposed to Help Save the Planet. Instead it Unleashed a Catastrophe.” The short version is that around the same time Martin was getting Imperium renewables going, a lot of other people started to believe that biofuels were a good thing. Many states and nations adopted policies to encourage their use (including California’s Low Carbon Fuels Standard). And the demand for plant-based oils surged. Unlike canola (at 127 gallons/acre), palm plantations can produce roughly 600 gallons of oil per acre—far more than any other known crop. Since these palm plantations require a tropical climate, places like Indonesia had a big incentive to clear tropical rainforest, plant palm trees, and export the resulting oil—all in the service of a cleaner environment. The result was, from the article, “NASA researchers say the accelerated destruction of Borneo’s forests contributed to the largest single-year global increase in carbon emissions in two millenniums.” This, in my opinion, ranks as one of the greatest ecological disasters on record. The small benefits of mixing biofuels into our petroleum fuels were vastly outweighed by the wholesale destruction of tropical rainforests. There is no known technology for reversing the CO2 that was released. 2018 global emissions were the highest on record. There is no reversing this destruction of what had been pristine old growth habitat. And it was all done in the name of protecting our climate. It’s hard to see this as anything short of a complete disaster. GR: Yes, rainforest destruction is a major issue and one that needs to be addressed. 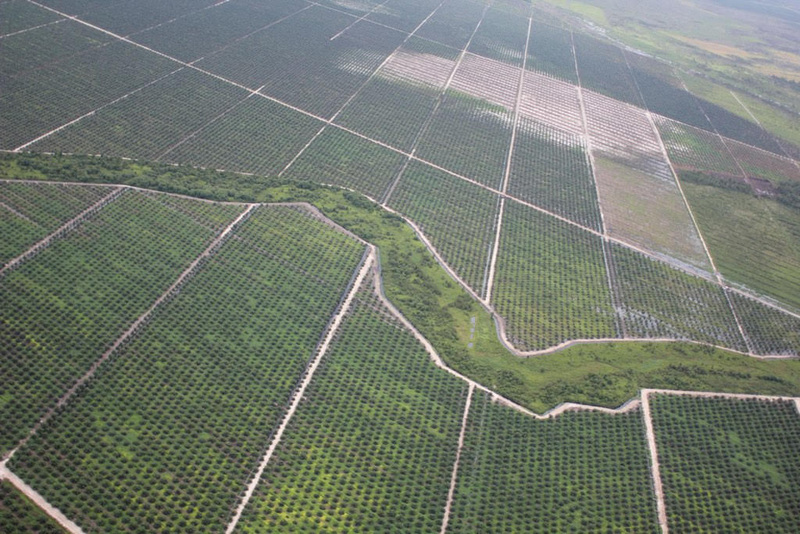 Unfortunately, it isn’t just palm oil that is contributing to this crisis. Developing nations and their growing populations want to earn value from their land, be that meat production, palm-oil production, bananas, or drugs, large scale conversion of old-growth rainforest converts their land into something currently earning them no money into something that does earn them money. I think we have a major reckoning that needs to occur in regards to a financial recognition of the environmental benefit forests, especially rainforest, are creating for our planet. If we aren’t willing to pay to keep that land delivering its services, it is hard to tell the land-owners they can’t convert it into something that does create economic value for them. I have not done a ton of research on this topic as I oppose importing or transporting biofuels in general. There is so much local waste, be it turkey fat, vegetable oil, and soon cellulosic waste, locally to convert into biofuels. But as to a fuel source for Indonesia, it would be interesting to dig deeper into the long-term carbon consequences of perennial standing trees that produce biofuel outputs compared to the old-growth rainforest. A certain acre of land can only support so much standing carbon, and I only understand that dynamic and how it plays out here in the Northwest, where about 100 years into growth, a NW Douglas fir forest stops accumulating carbon. Trees get bigger, but they kill off smaller trees, and total standing carbon plateaus. Harvest the trees and the pump kicks back on for another 100 years. (Read more about this in the attached Kretz – Report on Forest Fires and Carbon.) I can’t even speculate how the dynamic plays out in the rainforest but I would guess that carbon accumulation is much more rapid due to the solar gain. If that were true, a clear-cut rainforest can actually regrow the carbon it was storing and reach its standing carbon cap much sooner after complete decimation. From a carbon storage perspective the loss likely comes from the palm not being able to reach that same standing carbon quantity per acre due to lack of diversity. Again, I don’t know; I’m just speculating. But it is true that palm oil production is very energy efficient from an energy input to energy output basis when compared to basically all other phase 1 edible agriculture-based biofuels, mainly due to the fact they are perennials and take very little fossil fuel inputs once established. The balance clearly doesn’t work out once transportation is included as the life cycle analysis applied to California’s LCFS program causes biodiesel produced from palm-oil to be a deficit, not credit, producer. This is why there are no protocols for palm based biodiesel under the California’s program and wouldn’t be under a Washington program. While it would be interesting to compare the eventual long-term carbon storage in a palm plantation to raw rainforest, the real loss from that deforestation isn’t the carbon impacts it is the biodiversity and species extinctions that come with rainforest destruction. CS: I was at a climate meeting in December where Joe Fitzgibbon (WA House of Representatives Environment Chair) talked. I like Joe. He is smart, high energy, and committed to turning the corner on climate. Among the measures he was promoting for Washington was an LCFS similar to California’s. I asked Joe about the unanticipated destruction of the Indonesian rainforest. Joe assured me that California had recently updated their carbon-intensity calculations to factor in this “indirect land use change.” Yes, CARB (California Air Resources Board) didn’t get it right the first time. But Joe thought that they’d figured it out and we could use what they’d done to confidently move forward with LCFS here in Washington. I was curious and wondered about all the other states and countries who may not have “gotten it right” and were continuing to drive the demand for palm oil and, indirectly, the destruction of the rainforest and the massive release of CO2 into the atmosphere. So I dug into the CARB website. In 2007, Governor Schwarzenegger enacted the California LCFS. In 2009, the California Air Resources Board started to discuss the effects of indirect land use changes (ILUC) in calculating the carbon intensity of different fuel pathways. In 2015, they updated their carbon-intensity model to include the effects of ILUC. You can read a detailed description of their ILUC methodology here. This is complicated stuff. But for context, the way the carbon intensity calculations work is if fuel comes from a renewable source (e.g. canola, switchgrass, palm trees), it is considered equivalent to zero vehicle tailpipe emissions. When you burn biofuels, there is definitely carbon coming out of the tailpipe, just like a regular gas or diesel car. But the theory is that growing additional crops to produce more biofuel will absorb the same amount of carbon that is released when it is burned. So over the life cycle of the fuel, no carbon is emitted. In other words, the life cycle carbon intensity of the fuel pathway is zero. GR: I haven’t dug through all the CARB pathways but most life cycle analysis results are not zero—most are percent reductions over gasoline per unit of transportation energy delivered; a very limited few are negative, but it is unlikely any land exactly on zero. I suppose it is even unfair to assign zero to an EV running on solar energy as it should be assigned the emissions created through the solar panel production and any net increase in emissions from the production of the EV batteries compared to an ICE vehicle. CS: But in the real world, there are many other sources of carbon emissions related to producing biofuels. CO2 and other greenhouse gases are released during farming, crop transport, oil extraction, oil refinement, and from the kind of land use changes we’re seeing in Indonesia. So in the California LCFS program, there is a great deal of effort put into analyzing “fuel pathways” to determine the total carbon intensity. California uses the CA-GREET system (originally developed at Argonne National Labs) to do this analysis. There are currently 540 fuel pathways with assigned carbon intensities that have been analyzed and certified by CARB (I pulled them from the website and put them in a spreadsheet). This represents a monumental effort, involving a decade of work. Joe Fitzgibbon mentioned that roughly 1,000 state employees are involved in administering the California program. 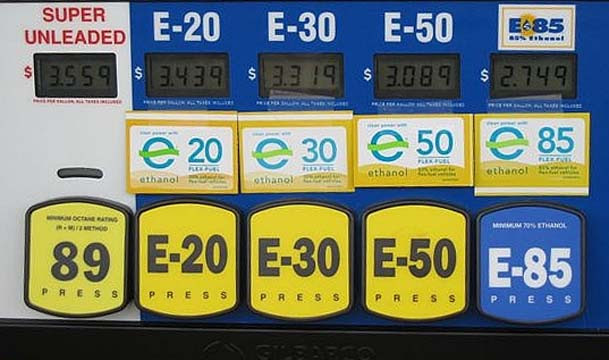 And the process to evaluate and certify fuel pathways is steadily evolving—CARB is now working on the fifth or sixth version of their CA-GREET process. GR: Yes, regulatory programs are bigger administrative burdens than pricing programs, but they are more popular and can be fairly efficient. CS: As I dug deeper, rather than feeling more confident in the CARB program, I had more questions and a sinking feeling that smart, unethical people could find ways to game this system. Among the questions that came to mind, was the startling realization that none of the 540 certified biofuel pathways in California addressed palm oil. Rather than palm oil being assigned a high carbon intensity, it was as if palm oil didn’t exist! There were several certified pathways that imported used cooking oil from Asia (Hong Kong, Singapore, India). And these were assigned carbon intensities well below the average. What would prevent an ambitious entrepreneur from purchasing palm oil, repackaging it as “used cooking oil”, importing it to the US, and getting significant $ in carbon reduction credits currently trading for $190/MT? I deeply and sincerely believe we need to rapidly transition to a carbon neutral economy, we need to put a real price on carbon, we need to accelerate the adoption of technologies that work, and we need to keep innovating. But it is hard to share the confidence that Joe Fitzgibbon had displayed about California’s program. Rather than feel that “California figured it out and we just need to follow their lead,” I felt that California’s system was complex, potentially full of loopholes, in flux, and probably difficult and expensive to maintain. One thing that was crystal clear was the tragedy in Borneo and the fact that 2018 saw more CO2 dumped into the atmosphere than any year on record, in part because of the mass clearing of rainforest to plant palm trees for biodiesel—in other words, indirect land use conversion. GR: Yes, programs have the potential to be gamed. That doesn’t mean they don’t make forward progress. I think you highlight some good risks that agency rule making should consider when developing Washington state’s program. Are the health benefits of biodiesel all they’re cracked up to be? CS: The Pacific Sound Clean Air Agency represents 4.1 million people in four Washington counties (King, Kitsap, Pierce, and Snohomish) and is currently studying implementing a clean fuel standard here in Washington. They published a summary of public comments on December 4, 2018. Among the many comments in favor of a clean fuels standard, the largest number were related to public health and equity (other areas of support were CO2 reduction, economic growth, and feasibility). I was surprised to see so many comments assuming that burning biofuels would improve public health. Did people realize that most biofuels would be mixed into a fuel that was mostly fossil fuel based? In other words, that the product they would buy and burn would be mostly fossil fuel? A recent paper from the National Institute of Health provides a survey of the existing scientific literature on the health impacts of biodiesel versus petroleum diesel. While it does say that, in some respects the tailpipe emissions from biodiesel are healthier (e.g. less sulfur), it also mentions that in other respects they are worse (smaller particulate matter that will embed deeper into lung tissue). There is absolutely no clear finding that these emissions are somehow “healthy.” To assume that burning biofuels is going to be a benefit to low income communities seems dubious, if not outright misleading. The reality is that tailpipe emissions from biodiesel are harmful to human health. They create smog, respiratory illness, and certainly dump CO2 into the atmosphere, causing warming over time. To really clean up our air from transportation, we need to move to zero-GHG-emissions technologies. GR: Again, no biofuel is the same, but in general, you do get reduced pollutants in various forms. Bio-methane (CNG replacement), as I understand it, is quite clean but I don’t know the exact figures. I’m also not that up on ethanol’s impact on local air pollution. Biodiesel is a mixed bag—if I remember correctly, it brings 40 percent reduction in particulate matter, 100 percent reduction in SO2, and a 5-10 percent increase in NOx. Those reductions combined with the GHG reductions and the fact that diesels are more efficient than gasoline engines add up to a winner in my book—hence I have been driving a biodiesel for years and will continue to do so until my marina puts in EV charging. Stranded EV’s in apartments, marinas, and other places of residence is a major infrastructure challenge unlikely to be completely addressed for decades, so we need options in the clean transportation world. Those options are even more important when you look at long-haul trucking, ocean shipping, and air travel, where we don’t have any near-term battery options. I’m not sure how you feel about nuclear airplanes, but that likely comes sooner than all electrics, and biofuels are closer than either to implementation in our existing fleet of planes, so we don’t need to wait for the much longer turnover time that applies to cars. Has California’s LCFS program worked? CS: I often hear that the California LCFS program has been “successful.” I’m not sure what this means. The original program set out to reduce by a modest 10 percent the carbon intensity of California’s transportation fuels by 2020 (over 13 years). To be clear, it isn’t even attempting to reduce the overall CO2 being emitted—just the carbon intensity of the fuel. According to the IPCC, success in the fight against global warming means limiting global average temperature increases to 1.5℃. This, in turn, means getting to net zero global anthropogenic CO2 by 2055. Supporting a biofuels industry that, at best, may reduce the carbon intensity of liquid fuels by 10 percent (and at worst may actually destroy habitat and increase emissions) seems like a potentially poor policy choice. If we do LCFS in Washington State, I hope we learn from and improve upon the existing programs to make this policy as effective as possible in reducing GHG emissions both here in Washington and around the globe. GR: I’m not sure I would characterize a 10-percent decarbonization of transportation fuels a modest goal. They have certainly been making a lot more progress in this sector than we have since they adopted an LCFS, and most of our biofuel industry moved to California so they could produce biofuels with their feedstocks and not take the LCA hit on the transportation impacts of getting produced fuel into California. That, along with Oregon and BC passing LCFS and combined with the great recession, really decimated our biofuel industry in Washington. Is 10 percent enough? No, but you have to focus on near-term targets, not the end goal or we likely get nothing done. I don’t have a lot of details about it, but as I understand it, the change to California’s targets was a result of a two-year delay at onset, which was the consequence of the fossil fuel industry trying to stop the program via unsuccessful lawsuits. I hope this helps explain some of the reasons we moved to endorse LCFS last year and continue that endorsement this year.